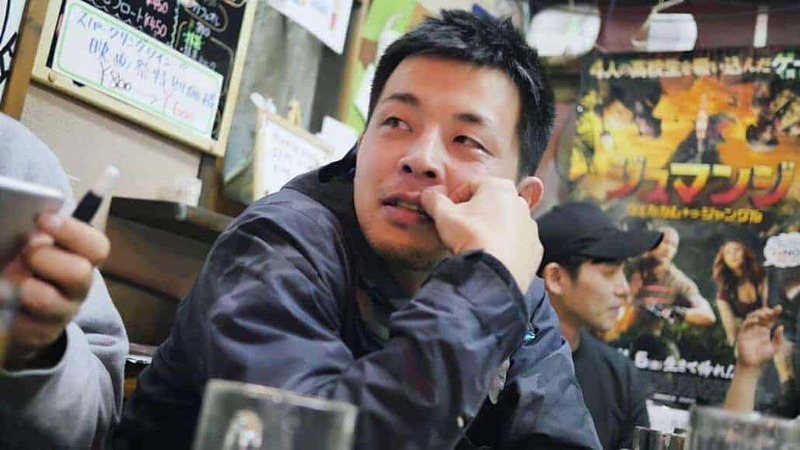 Interview with Norichika Oba: "I want Japanese people to really see and appreciate how wonderful a movie can be"
Norichika Oba was born 1978 in Fukuoka and graduated from Japan Film School in 2003. Afterwards, he worked as assistant director for Hiroshi Nishitani (“Suspect X” and “Hirugao”), Yu Irie (“The Sun”) and Hideaki Anno (“Shin Godzilla”). His first feature film, “Nora” (2010), received awards at Tama New Wave and at Tanabe Benkei Film Festival. “Cyclops” is his second feature film. On the occasion of the international premiere of his film “Cyclops” at the Nippon Connection – Japanese Film Festival , director Norichika Oba talks about the current state of the Japanese movie industry, his troubles shooting on a small budget and ultimately reveals the meaning of the Cyclops. Your debut film “Nora” came out in 2010 and won several awards. “Cyclops” was released eight years after that. What happened in between that? I had wanted to film another movie for some time. But I didn’t see the point in hurrying the creative process just to shoot a film quickly. I had a substantial amount of time to work on various scenarios. Between your two movies, you also worked with Hideaki Anno on “Shin Godzilla“. How was the cooperation with him and did it influenced you on your own way of making movies? Mr. Anno is a philosophical thinker. He is usually very gentle and honest with others. But when it comes time to make movies, he definitely refuses to compromise with others, which sometimes made me feel cruel. His personality combines strictness with devotion for his work. Though I’m not as gifted as he is, I’d like to learn his mindset as a film director. Of course, I have been trying to do so since I worked with him. You shot “Cyclops” on a small budget. How was the experience and were there any issues due to the lack of funds? In general, how was the shooting like? It’s not easy working on a small budget in terms of paying staff, having a tight schedule and limited locations and actors. But the positive is having less staff makes communication more straightforward. I tried my best to work with my whole production team to achieve maximum results under tough condition. I have a profound respect for the staff and actors supporting me. At one point in the film, the viewer is introduced to a picture of a Cyclops and the mythology of the Cyclops is explained. Why did you choose that specific title, and can you explain the meaning of the Cyclops in your movie? When a similar image between Shinohara and “Cyclops” suddenly occurred to me, I decided on the title without any hesitation. Shinohara goes out in public after 14 years in prison. Moreover, he is exposed to a lot of information from others. Gradually he turns into a state where he can’t be rational which reflects this age where we are surrounded by dubious information. If you look at something with one eye, how will it look? You could lose a sense of distance and depth like Shinohara in the film. Mansaku Ikeuchi, who originates from a famous film related family, plays a magnificent lead role. How did this collaboration come about, and how did you guide him for his role? Furthermore, how was the casting process like, for the film? Mansaku Ikeuchi can naturally express various emotions like warmth, cruelty, and painfulness. This ability of his is what I admire the most. I had always wanted to work with him. He has a talent for understanding the cast intuitively. During the first few days, we spent a lot of time discussing how to act his part. Right after that, he became the real “Shinohara” without any advice from me. Most of the other cast members, I had worked with before. Thanks to their outstanding performance, I believe this film became truly powerful. Your main character falls in love with a woman, who looks like his dead wife. This concept of doppelganger reminded me of Hitchcock’s “Vertigo”. What are your cinematic influences? Are you more influenced by Asian or non-Asian filmmakers? I haven’t thought about this similarity to “Vertigo”. Maybe I’m not such a cinephile after all. So many directors influenced me – Kiyoshi Kurosawa, Coen brothers, Clint Eastwood, Claude Chabrol, Edward Yang to name a few. What is your opinion of the Japanese industry at the moment? It’s been found that the average person in Japan sees 1.3 movies per year. The Japanese film industry is desperately trying to cater towards what people want to see such as romantic comedies. Because of this, the quality and variety of movies is declining. This is very disappointing. It is not necessarily healthy. Although I can’t see a bright future for the film industry, we still have to keep making movies. I want Japanese people to really see and appreciate how wonderful a movie can be. We producers also have to encourage critics to be more aware of the difference between artistry and popularity. I have many ideas for future film projects. I would love to make the next movie as soon as possible. Based in Vienna. Focussed on Japan. Master's degree in Theatre, Film and Media Studies. I write to get rid of rose-colored spectacles and to introduce unknown facets of Asian cinema.